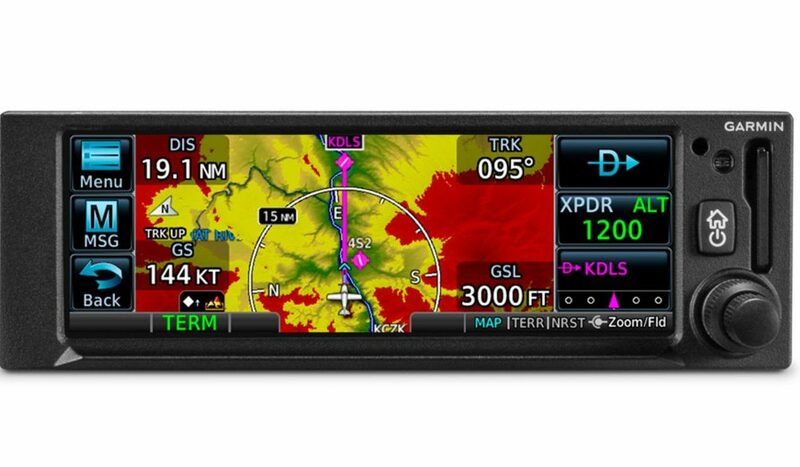 Although the standalone panel-mount GPS market has appeared moribund for several years, Garmin rippled the pond at the Aircraft Electronics Association show in Palm Springs Monday with the rollout of a pair of new touchscreen, approach-capable navigators, one of which incorporates ADS-B In and Out. The GPS 175—an entry-level IFR-approved GPS navigator—will sell for $4995 and the GNX 375, which adds ADS-B In and Out, will retail for $7995. Both fit the standard 6.25-inch rack width and are 2 inches high, meaning they’ll require minimal panel surgery. Garmin plans an aggressive delivery schedule with units available to ship in April and with an approved model list totaling some 700 Class I/II aircraft that weigh 6000 pounds or less. Both navigators have a look and features similar to Garmin’s popular GTN 650/750 series navigators and the color touchscreen interface will be familiar to anyone who has used those boxes. Both include full GPS approach capability, including WAAS/LPV procedures, moving map, flight planning and nearest airport/waypoint capability. The GNX 375 adds traffic and weather pages to the mix. Realizing that there are a lot of old panels out there with even older equipment, Garmin engineered the interface to allow using indicators such as BendixKing’s KI209, as well as other common CDI/EHSIs and even Garmin’s newer G5 electronic flight instrument. The new navigators will also talk to Garmin’s GFC 500 and 600 autopilots and for experimental aircraft, the G3X Touch. Roll steering is available with those autopilots and select third-party autopilots, meaning procedures such as holds, radius-to-fix legs and missed approaches can be flown with the AP engaged.